The thirteenth edition of The Theatre Experience is students’ ticket to the best seat in the house. From Broadway to makeshift theater spaces around the world, the author demonstrates the active and lively role they play as audience members by engaging them in the collaborative and creative processes behind and in front of the curtain. 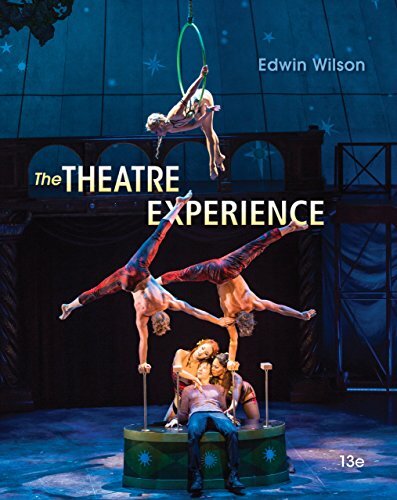 Wilson introduces students to the roles of the performers, directors, producers and designers, while emphasizing the insights they as audience members bring to any production. The thirteenth edition better accommodates today’s teaching schedules, as well as improves accessibility for students by concise insight and up-to-date vibrant production visuals. Students join the creative process with The Theatre Experience, and rehearse for their role as life-long audience members. Buy The Theatre Experience: The Theatre Experience at Discounted Prices ✓ FREE DELIVERY possible on eligible purchases.